Despite previously suggesting that Call of Duty: Black Ops 4 DLC would be limited primarily to maps and skins, it seems that Activision is considering adding Specialists to that list. In an interview at Gamescom, a representative from the company told PCGN that “it’s always possible,” that new characters could be added to the game in later DLC updates. While there was nothing concrete in their comments, when asked whether Specialists would ever be included as DLC, the representative said “I suppose it’s always possible,” but suggested that the company would have more information to share about future DLC at a later time. Their suggestion, however, goes directly against what Activision has previously said about what would be included in the Black Ops Pass – the game’s largely unpopular DLC pack. According to an FAQ, the Black Ops Pass includes a bonus Zombies experience at launch, four prior Zombies experiences, 12 multiplayer maps. They do mention “4 exclusive Blackout characters,” but it’s seemed so far that that refers to skins for previously-existing specialists, not new characters. The announcement that maps would be added to the game as DLC has already proved unpopular due to the practice’s propensity to split up player bases. While I must stress that there’s no definitive suggestion that Activision will add new, paid-for specialists, the suggesting that they could feels like something that would be unpopular within the community. 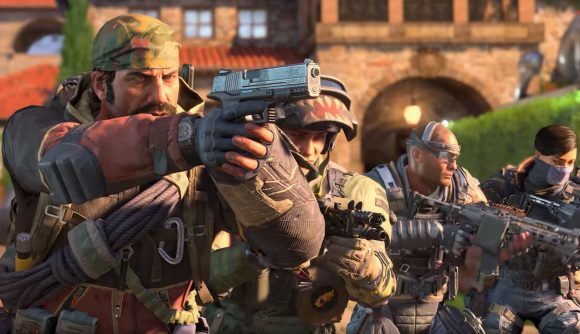 You can take a look at all of the Black Ops 4 specialists if you want something of a head start ahead of the Black Ops 4 release date. The latest Call of Duty title is due out on October 12, so now might be a good time to get practicing.